This gorgeous fall leaf wreath isn't made from leaves at all. It is made for empty aluminum cans. Not only is this the most clever use for empty soda cans I have ever seen, it is one of the most gorgeous fall wreaths I have laid eyes on! 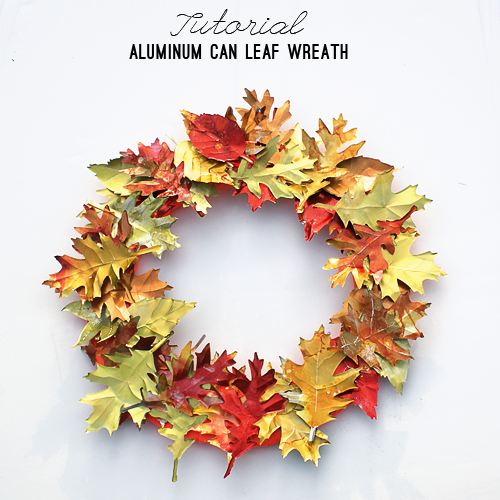 An aluminum can Fall wreath! And the best part is the material it is made of will last for years so you can continue to enjoy this one for seasons! You can check out this DIY Aluminum Can Fall Wreath over at Saved By Love Creations.